Personalized Valentine’s Trading Cards $15! I absolutely LOVE this idea. Valentine’s Day Trading Cards!! 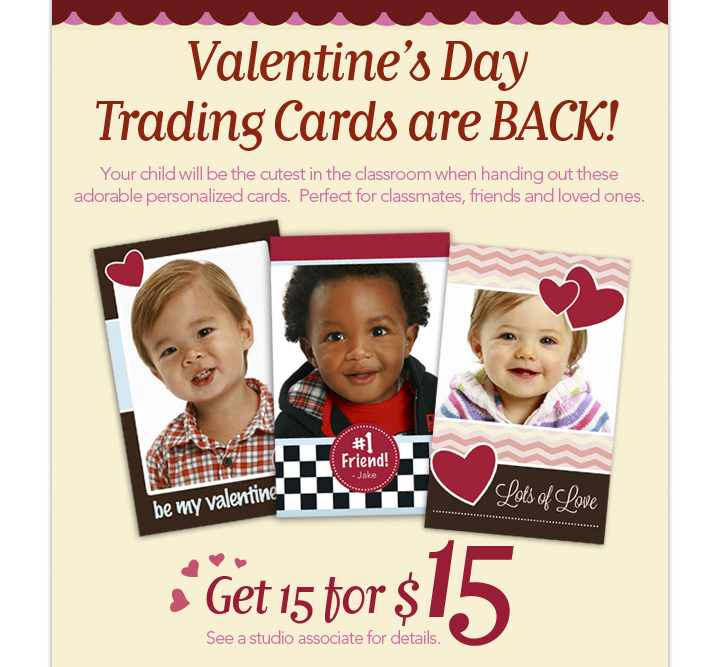 How stinkin cute will your child look on their very own personalized Valentine’s Day trading card. Best of all, Picture People has this great offer for 15 cards for only $15. Just visit Picture People to schedule your appointment today. Next postDallas Zoo Admission $5 thru Feb. 28th!